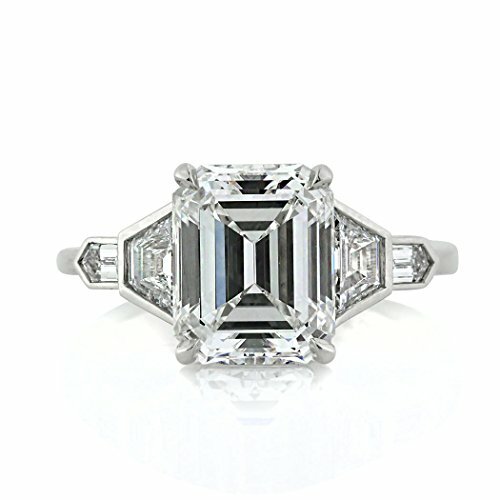 This spectacular emerald cut diamond engagement ring is truly sensational. 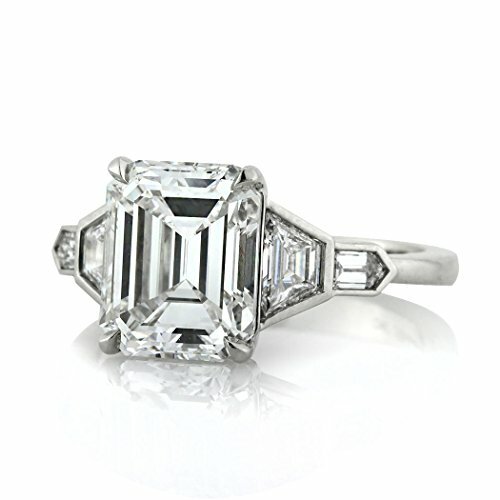 It all starts with the enchanting 3.74ct emerald cut center diamond. 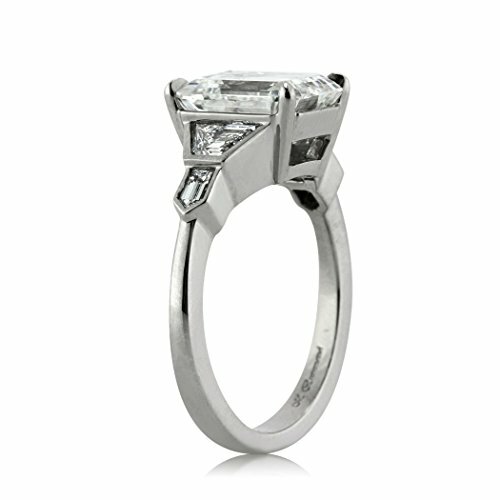 It is GIA certified at F-VVS2. 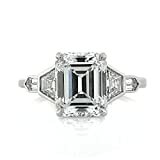 It is exceptionally white, practically flawless and cut to perfection. 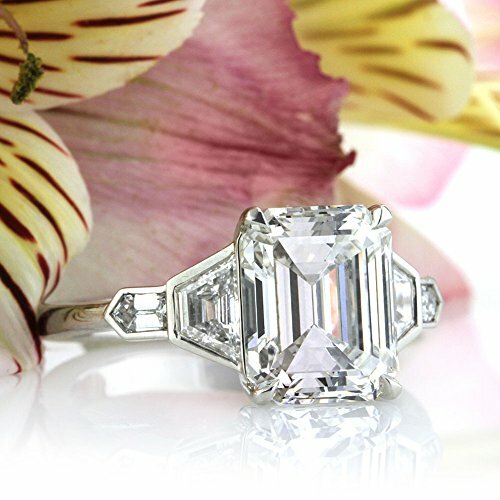 This diamond is really one in a million. 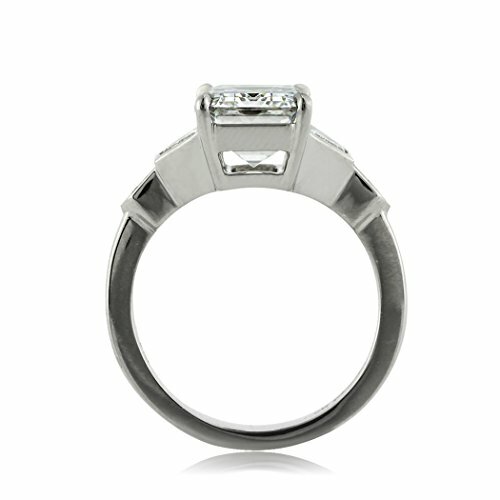 It is accented perfectly by step cut trapezoids flanked on its sides in a bezel setting and follows by a special cut bullet shape diamond on each side as well. This platinum masterpiece is extraordinary from every angle. Sure to be cherished for generations to come.